What Is The Best Fat Loss Workouts? 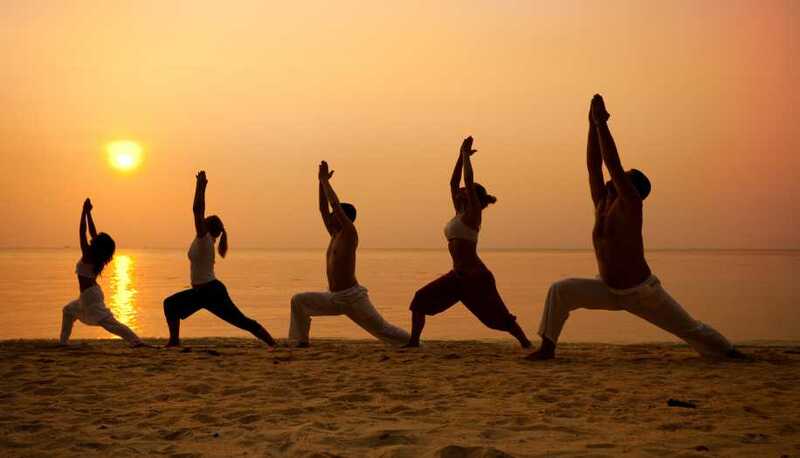 Body workouts mainly target your major muscle groups and thus remove the fat depositions and shape them up. 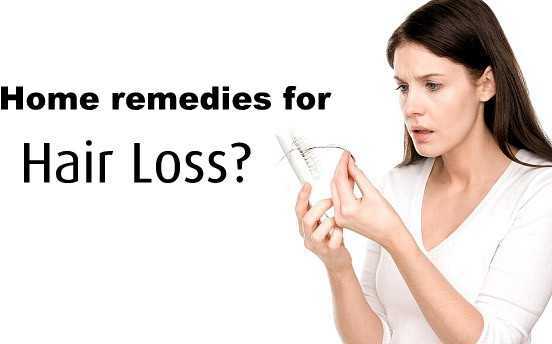 It also helps in building more lean muscle mass which further prevents the fat deposition in the body. But one should not start the workout randomly otherwise you can damage your body. 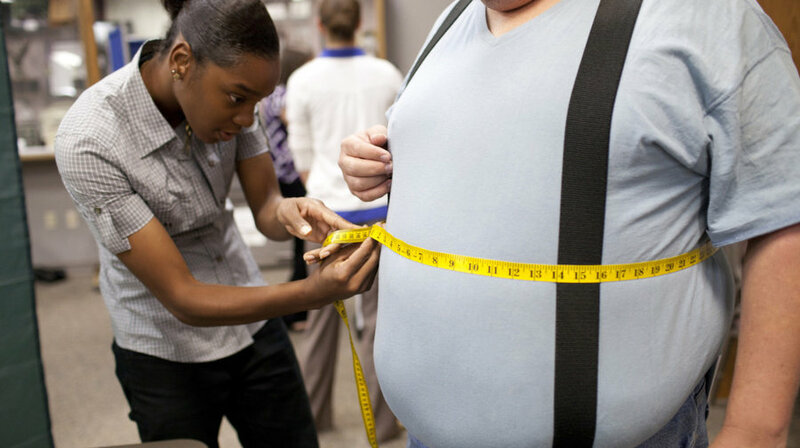 A systematic approach can only help you in getting rid of the extra fat without hurting yourself in the process. A systematic fat loss routine is determined by many factors such as your calorie intake, speed, frequency of exercises and stamina. As for the diet part, you should add more proteins to your plate because the high amount of proteins will ward off catabolism and maintains the body in an anabolic state. You should also avoid sugar as they are deposited as fat by the body and if you avoid carbs especially after 6 pm then your body will use up the fat stores while you sleep at night. The workout part of the fat loss routine is a combination of cardio and heavy weight exercises. Cardio exercises help in improving the cardiovascular system of the body so that your body can be prepared enough to supply blood and oxygen with more speed and in large amount when it is needed by the muscles during heavy weight exercises. Weight training helps in building lean muscle mass and enhances the stamina while shaping up your body. If you set a perfect coordination among healthy dieting, cardio and weight training then you will be successful in losing fat in less span of time. Here we will discuss about the best workouts you can take up to remold yourself. This exercise should be performed in the morning with empty or before any workout session as a warm up practice. 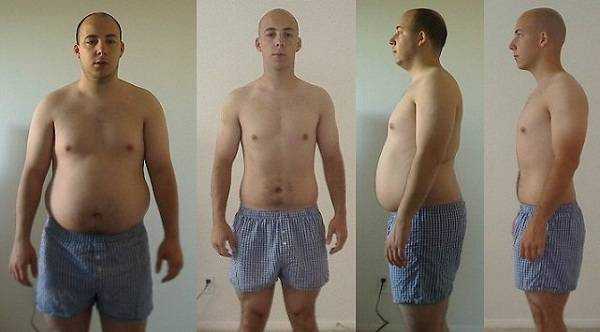 It should be done on a daily basis, except for the days dedicated for the lower body workouts. Set your treadmill on an incline and at the speed of 3.5 – 4 miles per hour and work on it for the duration of 45 minutes. When you will get used to, it then you can increase the incline level instead of speed because this kind of cardio will make your body turn towards the utilization of deposited fat as an energy source rather than the usual carbs. Lie on your back on the exercise bench. Place your hands on the barbell at the distance a little more than shoulder width. Lift off the barbell from the rack and hold it over your body with stretched arms. Bring down the bar slowly towards your chest region and stop when it touches your middle chest. Hold this position for 30 seconds and then uplift the bar to get back in the original position. You should push the bar up by squeezing your chest muscles. 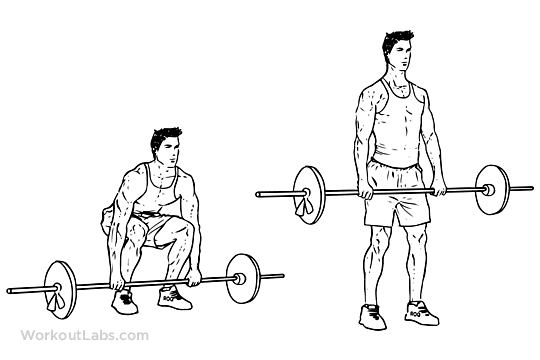 Caution: if you are new to this exercise, then using a spotter otherwise go with light weights. The bar should touch your middle chest and nowhere else. Place the barbell on a height above the chest on a squat rack in front of you. Place your hands on the sides and the distance should be more than shoulder width. Lift off the bar and place it on your collar bone by slightly bending your knees. 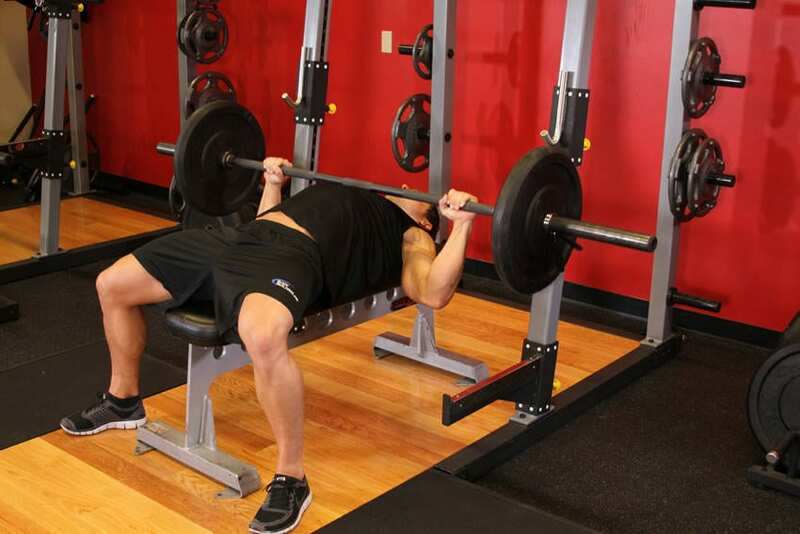 Uplift the bar by keeping it on your chest and step back a little. Stand straight with your feet apart and raise the bar overhead by locking the arms. Hold this position and lower down the bar again to your collar bone as in the original position. Lift it back and repeat the steps for 12 reps. 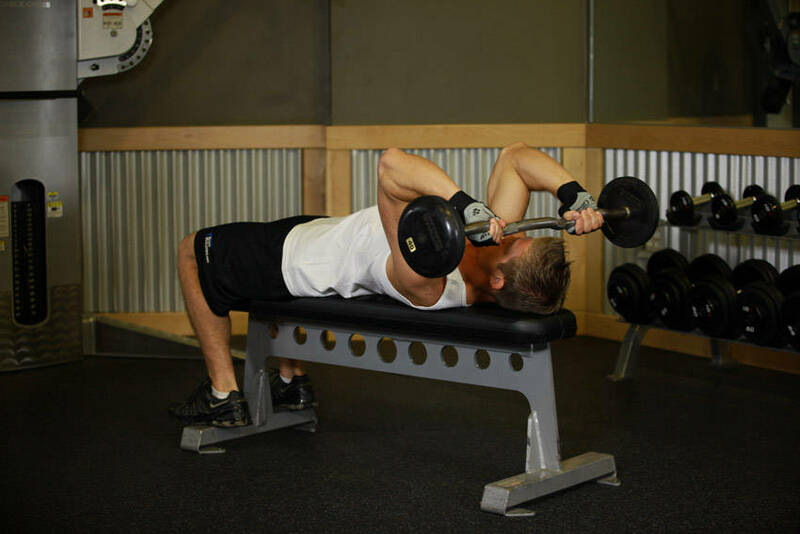 Lie flat on your back on a bench by either holding an e-z bar or a straight bar above your body with stretched hands. Slowly bring down the bar towards your forehead by bending your elbows. Hold this position for 30 seconds and then use your triceps to bring the bar back in the original position. Do two sets of these steps for 15 reps. Hold the pull up bar with your hands at shoulder width distance and your fingers should be pointing towards your torso. Pull up your torso by using your biceps and keeping your elbows closer to the body till your chin is above the bar level. Hold this position for 30 seconds and then bring your torso down as in original position. Always remember to maintain a straight back and the only movements of biceps should be focused. The forearms should remain stationary and holding the bar should be its only purpose. 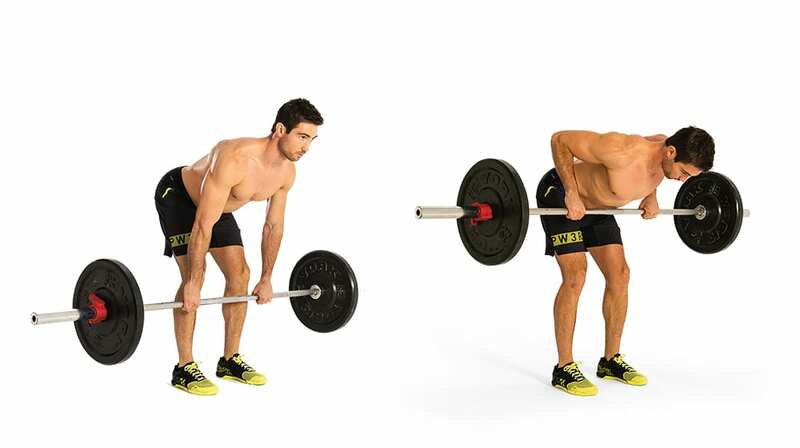 In the starting position, hold a barbell by placing your hands on wider than the shoulder width. Raise it to your knee level by pushing your hips backward, slightly bending your upper leg and moving your torso forward with head facing forward. Uplift the barbell to your belly button level by keeping other parts stationary. Hold this position for 30 seconds and then lower down the bar to your knees as in original position. Repeat the steps for 10 reps. 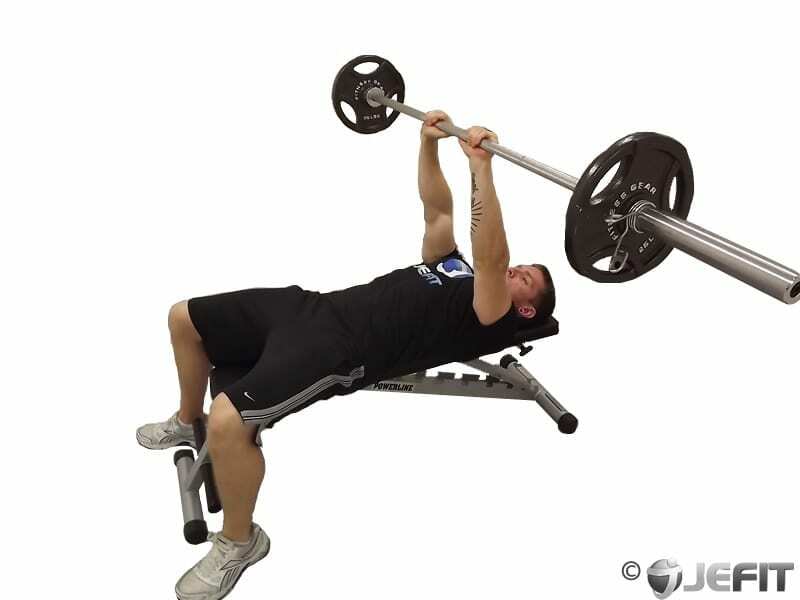 Lie flat on your back on an incline bench. Hold dumbbells in each hand over your thighs. Uplift the dumbbells besides and little above your chest by bending the elbows. Have a proper control over the dumbbells. Raise the dumbbells by stretching your arms straight in upward direction. Bring down the dumbbells in the original position by bending your elbows. Repeat the above steps for 8 – 12 times. 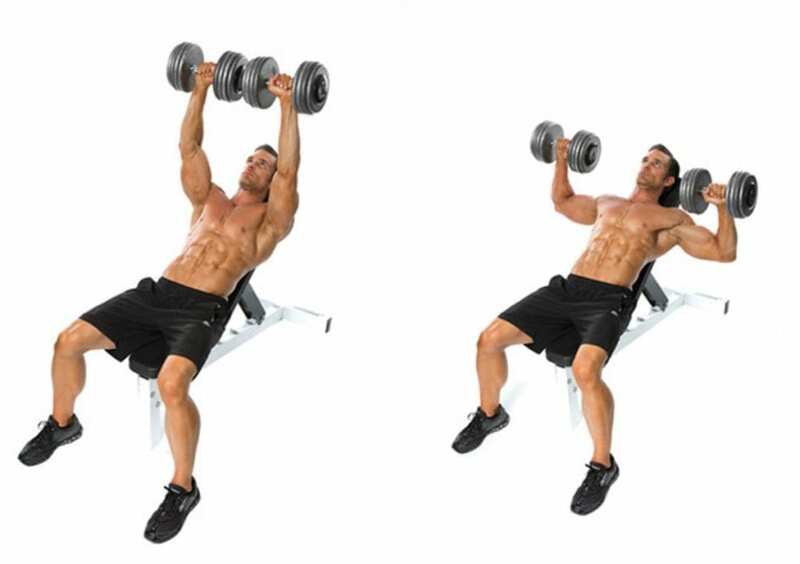 Hold dumbbells in each hand and sit on a utility bench or military press bench. Rotate your wrists so that your palms are facing forward. Uplift the dumbbells above your head by stretching your hands. Hold this pose for a second and then slowly bring them down to your sides by bending your elbows. Repeat the above steps for 12 times. Hold the bars with your hands and keep your body at the arms length. Slowly lower down your torso by keeping a straight back and elbows closer to the body. Lower yourself until your upper arm and elbow makes a right angle with each other. Hold this position for a while and then bring back your torso in the original position by pushing it backwards. Repeat these steps for 12 reps. Sit down on a pull down machine which consists of a wide bar which is attached to the top pulley. Adjust the knee pad according to your height. Grip the sides of the bar with your hands, which is wider than your shoulder width. Your hands should be over your head and a little in front of you. Lower down the bar by pulling it downwards by bending your elbows until the bar touches your chest region. Hold in this position for a while and then slowly raise the bar to get into the original position. Do 10 reps of this exercise. 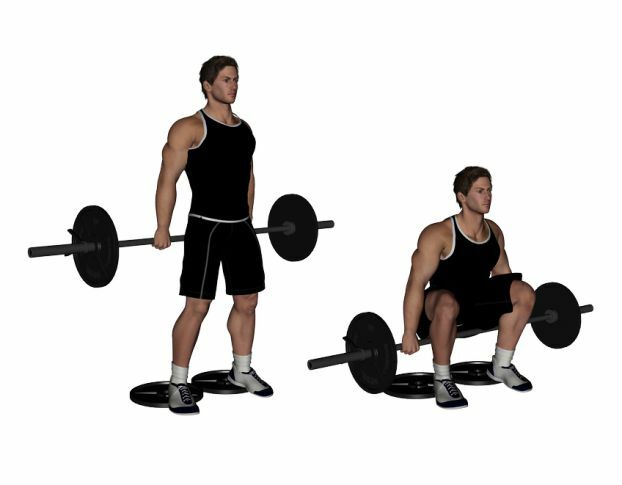 This exercise mainly targets the lower back muscles, but it also works on calves, forearms, hamstrings, lats, middle back, quadriceps and traps. Grasp a loaded barbell by using a medium overhead grip. Keep a straight back while bending forward. Straighten your knees to stand up while holding the barbell. The bar should come around the pelvis level. Hold this position for seconds and then lower down your torso by bending your knees to put the barbell back at the floor. Repeat the steps for 8 reps. Firmly place your feet at the end of a decline bench and slowly lay down on your back on the bench. 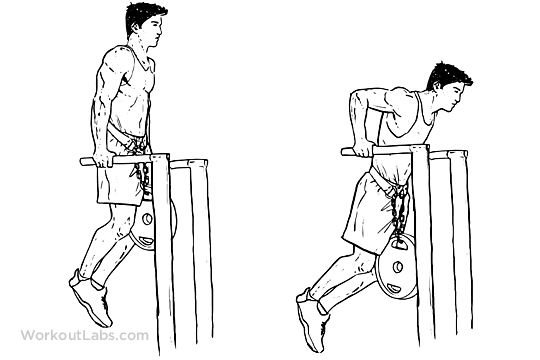 Lift off the bar from the rack and position it over you just above the chest area with stretched hands. Slowly, bring down the bar until it touches your lower chest. Hold this position for a second and raise the bar again as in the original position. Repeat it for two sets of 8 – 12 reps. When you are done with the exercise, put the bar back on the rack. Sit down on the shoulder press machine and select the weights. Hold the handles provided on the sides of the machine by bending your elbows in the line of your shoulders. Raise the handles while stretching your hands upside. Hold this position for 30 seconds. Slowly bring down the handles as in original position. Repeat the steps for 2 sets of 8 reps. Lie on your back on an exercise bench. Uplift the bar from the rack and position it over your body. Bring it down slowly until it touches your middle chest. Keep your elbows closer to the body to increase the involvement of triceps. After holding the position for a while, raise the bar in its original position by using your triceps. Put the barbell back on its rack when you are finished with it. Use a spotter if you are new to this exercise. The details of this exercise are given in the first week Monday workout routine. 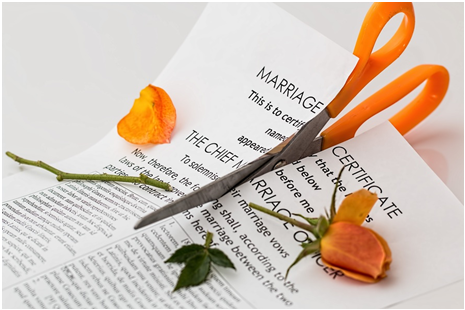 Follow the same steps as discussed above while doing this on your Friday session. Load the weight on one end of an Olympic barbell. Put the other end in the corner of the wall or between heavy objects so that the end remains fixed during the exercise. Stand with feet across the line of barbell so that the loaded end comes in front of you and the unloaded part is placed behind your back. Bring your torso forward until it becomes slightly parallel to the floor by slightly bending your knees. Pull up the loaded end with your right hand and place your left hand on your left knee with the palm touching the knee for balance. Hold it for a second and then bring it down as in original position. Repeat for 2 sets of 10 reps and then switch to the left arm. Stand up straight and hold the e-z curl bar with the provided handles. Keep your elbows close to the body. The bar will be positioned to your belly button level. Lift up the bar only by moving the forearm and bending the elbows. The rest of the body will remain stationary. Continue to lift it until it comes to your shoulder level and your biceps are contracted. Slowly bring own the bar back in the original position. Repeat the steps for 2 sets of 12 reps. Stand straight while holding dumbbell in each hand besides your body with stretched hands facing downward. Lift the dumbbells in front of you by bending the elbow so that the dumbbells come closer to the shoulder level and in front of you. Lower down the dumbbells after a brief pause. Repeat the steps for 2 sets of 15 reps. Sit down on the machine and place your toes firmly on the lower portion of the provided platform. Adjust your lower thighs under the provided lever pad and place your hands on top of it to prevent it from slipping forward. Lift the lever slightly by pushing your heels up and release the safety bar. Stretch your calves while lowering down your heels by bending the ankles. Lift up the heels by extending the ankles as high as possible while you contract the calves. Hold this position for a second. Repeat it for 1 set of 15 reps. Stand at a shoulder width distance and grab the barbell with your hands by using an overhand grip by slightly bending your knees. Lower down your torso so it becomes parallel to the ground with head facing forward. Uplift the bar to the a bit lower than the knee level and hold this position until you feel a stretch on the hamstrings. Raise the bar while you straighten your torso to stand up. Lower it again to get back to the original position under the knee level. 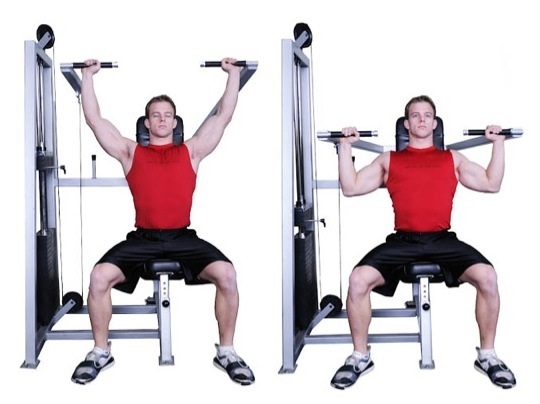 Repeat it for 2 sets of 15 reps.
Place your back on the back pad of the machine and shoulders under the shoulder pad. Fix your legs firmly on the platform with toes pointing out. Hold the handles provided on the sides and release the safety bars. Straighten your legs without locking your knees. Lower down the whole unit (your upper body and machine) by bending your knees until the angle between the calves and upper leg is slightly less than 90 degrees. Hold this position for a few seconds and lift the unit upward to get back to the original position by pushing the floor with your heels. Repeat it for one set of 8 reps and other set of 20 reps. 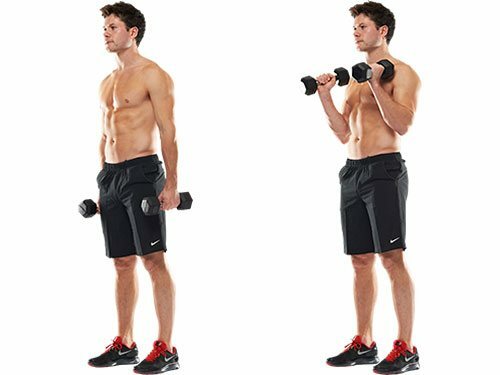 Stand straight while holding dumbbells in each hand beside your body. Curl the right hand until it reaches your chest level and facing forward direction. Let the other body stationary as in the original position. Bring your right hand down and repeat the same step with your left hand. Repeat the steps for 2 sets of 12 reps with each hand. Lie down on a mat with legs stretched in front of you and torso perpendicular to the ground. Grab the weight plate with both hands in front of your abdomen. Slowly uplift your legs by slightly bending your knees. Move the plate to your left and touch the floor with it. Come back to the front and then rotate to your right to do the same step as the left one. Repeat the steps for 3 sets with heavy weights as much as possible. 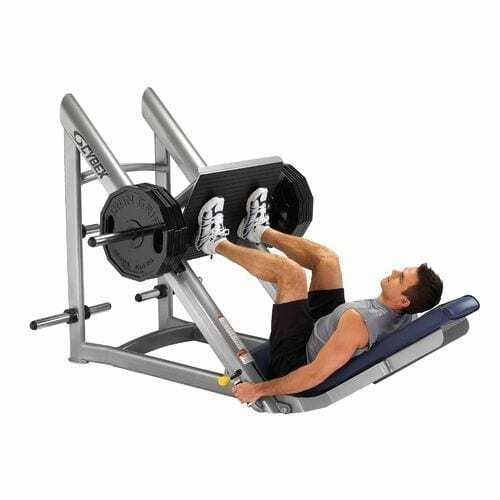 Sit down on the leg press machine and place your legs on the platform in front of you. Lower the safety bars and lift up the platform with your legs without locking your knees. Your torso and legs should be perpendicular to each other. Carefully place your toes and balls of the feet on the lower portion of the platform and press it higher by extending your ankle and stretching the calves. Hold this position for a second and then slowly go back to the original position. Caution: be very cautious about the positioning of your feet at the platform, otherwise you can suffer a serious accident. 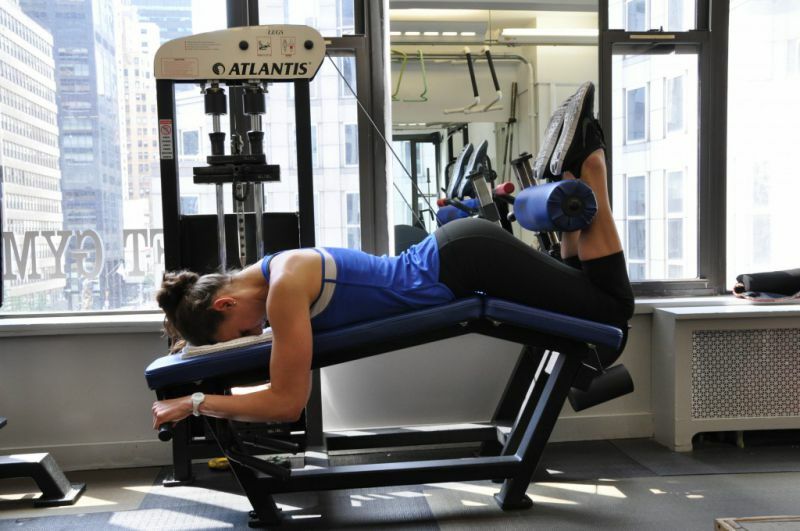 Adjust the machine lever according to your height and lie on your stomach on the leg curl machine so your back of the legs comes under the lever of the machine. Grab the side handles and keep your legs and torso straight. Curl your legs up without lifting the upper legs. Bring back your lower legs after keeping them in raised position for a brief pause. Step into the squat rack and uplift the bar off the rack and place it on the back of your shoulders. 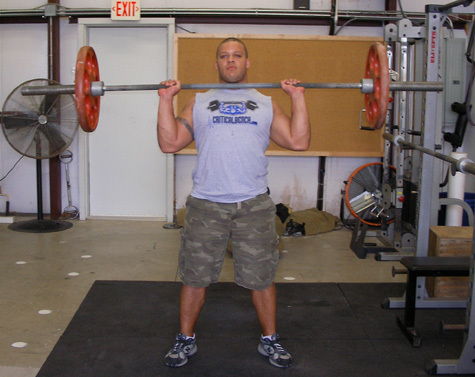 Step away from the rack and stand at a shoulder width distance. Keep your head up and maintain a straight back. Slowly lower down your torso by bending the knees and maintaining a straight posture with the head up until the angle between the calves and upper legs becomes slightly less than 90 degrees. Raise the bar again as in the original position by pushing the floor with your heels. Repeat the steps for one set of 8 reps and another set of 20 reps. Grab the handles and place your triceps on the provided pad. Lift the handles while contracting your biceps. Hold the contraction for a second and then lower down the handles. Do it for 2 sets of 12 reps. Stand straight while holding dumbbells in each hand and hands stretched to the sides, elbows close to the body. Curl the weight to upside by bending your elbows. Rotate your wrist so that you have palms up grip. The dumbbells should come closer to the shoulder level. Rotate your wrist so that you have palms down grip on the dumbbells while remaining in the contracted biceps position. Slowly bring the dumbbells down by using pronated grip. When it finally comes down then rotate your wrist to get back in the comfortable position. Do it for 2 sets of 15 reps. Adjust the padded lever of the calf raise machine according to your height. Place your shoulders under the provided pads and position your toes facing forward. Raise the lever by stretching your hips and knees until your torso is standing erect. The knees should be kept with a slight bend and never locked. Raise your heels by extending your ankles as high as possible and flexing your calves. Keep your knees stationary and there should be no bending. Lower your heels as you bend the ankles until calves are stretched. Repeat for 1 sets of 15 reps. Step into the squat rack and adjust the bar on the rack according to your height. Hold the bar using both hands and lift it off the rack and place the bar on the back of your shoulders by pushing your legs and straightening your torso simultaneously. 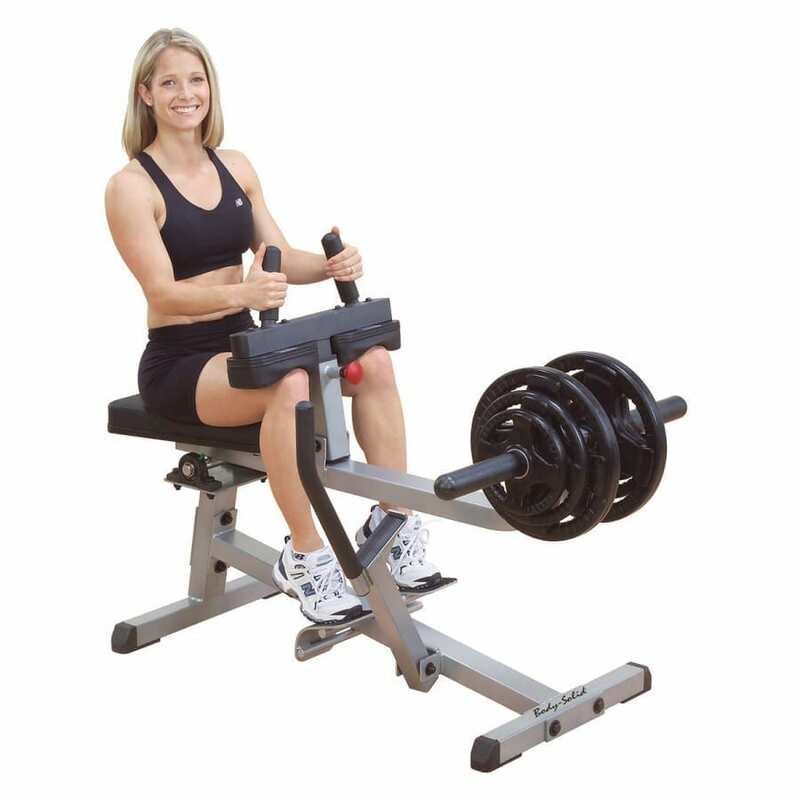 Step away from the rack and stand straight at a shoulder width distance. Keep a straight back and head up all the time. Slowly lower down your body by bending your knees perpendicular to the floor. Hold this position for a second. Straighten your legs to stand up and get back into the initial position. Use the quadriceps and the heels to get back into the initial position. Do it for 1 set of 12 reps.